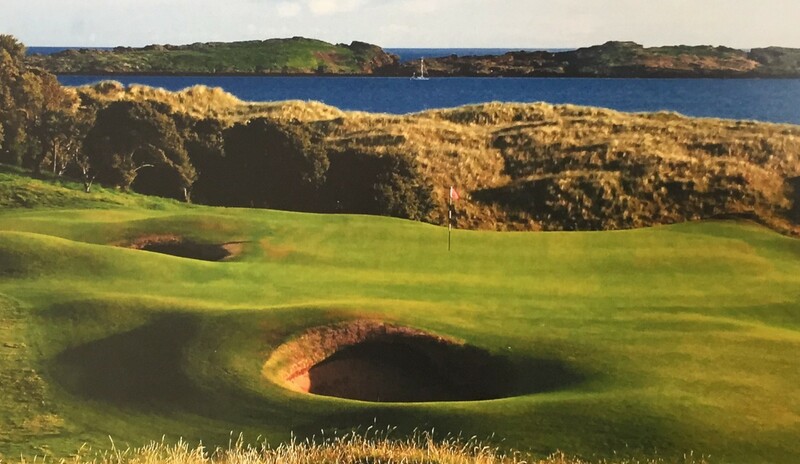 With only 6 months to go until the Open Championship, the team have been working on “walk off’s” from greens and tees for players and spectators. The major works which are “in play” were completed before Christmas with the intention to rest Dunluce, through what is usually the most difficult time of year for us. Contractors are working well, completing the last pieces of roadway which will link tv compounds with the golf courses. The last pieces/tails of ducting are being mole ploughed in, these areas are out of play. Boston Networks began blowing fibre through the underground ducts on Wednesday which will serve all of the media, grandstands and on course areas with WiFi. The machine feeds the fibre through the ducting using compressed air to reduce friction while the fibre is pushed through the duct. Ground pressure testing being carried out to ascertain load bearing for temporary structures.